Wide low profile mount rings for scopes and dot sights. 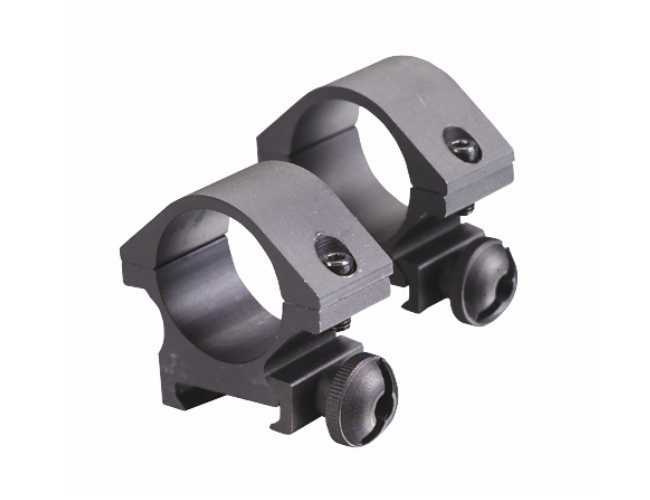 2 Wide but low-profile rings will keep scope or dot-sight close to the rail. This will fit scopes and dot-sights with a 25.4mm 1 in. body.and will fit on 21 mm rails.The height between rail and scope is 6mm.